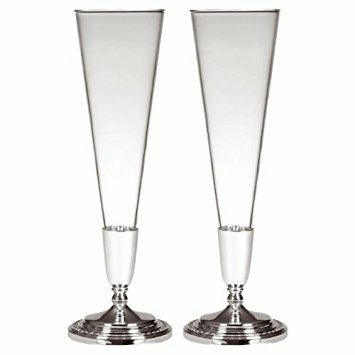 These beautiful Wedgwood Silver Toasting Flutes (Set of 2) make for an elegant and stylish way to celebrate all your special events. 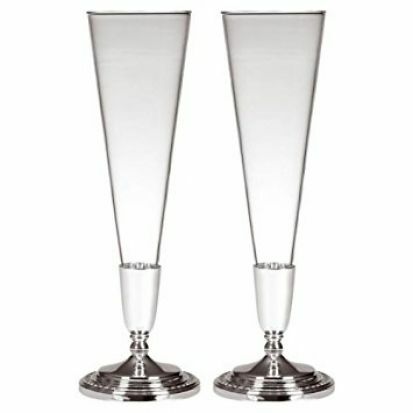 The Flutes feature a delicately detailed silver base with a wide glass flute. Gift boxed.